This tire is absolutely amazing, I can throw my bike into corners with my only limitation being how ballsy I feel. The tire holds to the pavement like glue. I've never had an issue with it slipping, even when accelerating hard out of a corner. Michelin and Dunlops have been a problem for me in the past whether it was fast tire wear or not being able to stick through corners without slipping. The tire wear on this tire is moderate, I can get a good season out of the rear (I live in Michigan so April-November). I’ve ridden about 2-300 miles on these tires and so far they’re amazing. They stick to the ground in any type of movement to give you that sense of security going into turns. They’re aesthetically Pleasing to look at as the groove patterns are gorgeous. I can’t find one thing to complain about with these tires. 10/10 would buy again. Talk about some great tires! These tires have been absolutely great! If you need some good street tires for regular riding these will do the trick. They have really good tread life compared to other street tires, and they grip extremely well. 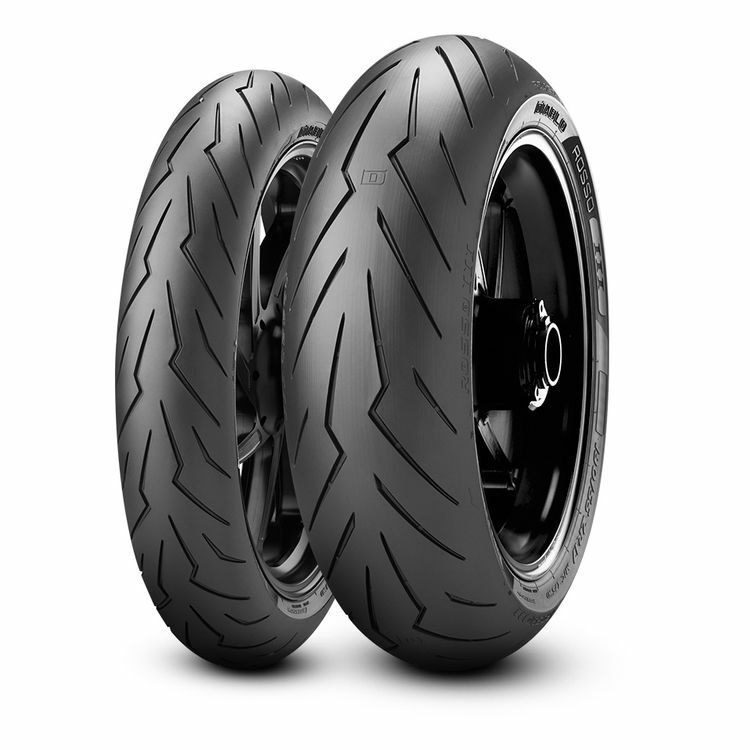 I have a set of these on my Daytona 675, and the next set of tires I need will probably also be these. Have taken them on some great switchbacks and they just hold to the ground. Just make sure you scrub them in before you get into anything too serious. As long as you do that, they should hold up to your, and your bikes limit. Just make sure you are conscious of road conditions. I bought this tire for the brand name, good reviews, style, and in regards to all the online research that I've done. The runner up tire was the Dunlop q3+ because of the grip people said it has and the double compound feature giving it more tread life. I chose this, Pereli Rosso III, because it looks aggressive AF, has lots of good reviews, is a name brand and grips very well which provides more confidence on the twisties. I ride a '14 Kawi Ninja 300 and I know this tire is too much tire for the bike but I wanted something that would keep me on the ground because I ride aggressively through tight turns and I often ride in the mountains nearby. This tire grips very well as advertised, believe me. This tire also provides a smooth comfortable ride. The tread life is another thing,... It lasts a decent while depending on how you ride. I already have 2K on my tires and I feel like I have another 3.5K to go before it seriously is time to replace. I ride in a group of 7+ people who all ride aggressively on sports bikes. I have a few buddies who put these tires on their bikes including me. One friend, who rides a '17 FZ-09, always does wheelies every time we ride almost every chance he gets. The tread life on his front tire looks great but after 2K miles, his rear tire is center tread is totally gone. Another friend really digs into his lean angles and, like me, loves the security he feels with these tires. The tread life for the rest of us is about normal. In conclusion, this is a great tire and I would buy again in the future! My next tire will be the Q3+ just because I want to experiment and really feel out the differences between the two. The tread life is good for a sports tire and trust me, it is a grippy tire for sure. This is the second set of Pirelli I have bought. I got 5000 miles out of the first set. Which I thought was damn good especially for they way I ride. The grip of the tires stayed pretty consistent from mile 1 to mile 5000. Different highly recommend these tires. Gone through several sets on a couple different, big horsepower machines and I’m constantly pleasantly surprised how well these tires stick, how balanced the handling is and how many more miles I get out of them in comparison to other, more touring oriented tires! I won’t be getting anything else anytime soon ....! I've had enough time with these on my 2018 Tuono RR that I feel ok giving a review on them. The profile is very intuitive for a sporty road tire, you quickly get to a point where your inputs give predictable results. No complaints about the grip level for quick street riding on mountain roads. The tire life is pretty terrible. ~2400 out of a rear before the sides (about half to 3/4 of the way from the center towards the edge) of the tire are at the wear bars. I'm not super heavy on the throttle out of corners and use TC set to 3 out of 8 (8 being most intrusive) so it shouldn't be lighting up the rear coming out of corners. Same mileage for 2 rear tires. The front made it to 3600 before it was done, with a similar wear pattern to the rear. The tires were run at the Aprilia recommended street pressure of 34 PSI front and 36 PSI rear. They are not bad tires, but I won't be buying them again. The front is now a Diablo Rosso Corsa II and I will be buying a matching rear once riding season starts. The front DRC2 is already looking like it will last longer than the DR3, hopefully the same is true of the DRC2 rear. My 3rd set.and I’m pleased with how good they are. Because there's some good traction, even in wet... which is good because I like to remain upright in most cases. Very good for track day, awesome on street and excellent on the raining Florida. Using it on my Aprilia Tuono V4 1100 Factory. My Pirelli Diablo Supercorsa needs to be replaced at 2700 miles, great tire for track, but not so good for Florida raining days. 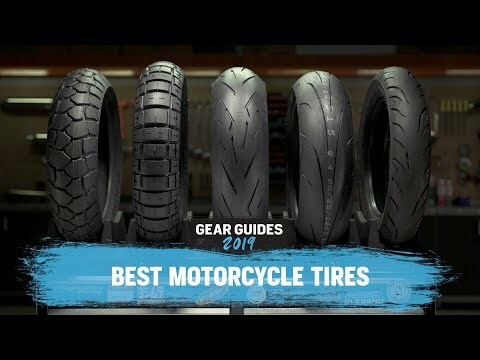 I want best performing sport bike tire for the street. I had Pirelli Diablo Corsa 2 tires before on my Hayabusa, those tires were great even on wet surface. Now is time to try the Diablo Rosso 3 tires. for street and track it was these or the q3s but i was told by some fellow track guys that the q3s get greasy in the heat. Will try the q3s next to compare. Tread pattern looks awesome and performance should be promising and I hope to find out soon! 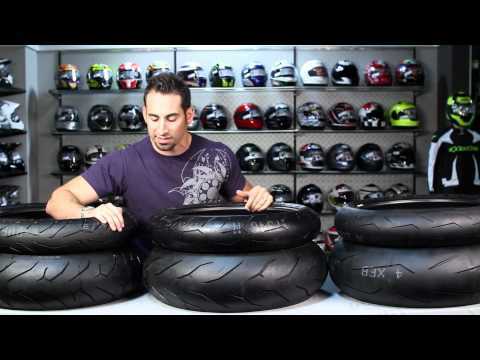 Revzilla also had the lowest price for front and rear tire after some research. Highly recommended by my racer-mechanic. Direct upgrade to the Diablo Rosso II's on my Monster 821... why not? Bought the set. I just love the stability of Pirellis. Great tires, going to the track with them next week. Great price, good reviews, and a rebate from Pirelli. wanted to try them to see if they are better than the Rosso II's that I currently run. Spent too much time researching tires, in the end I copied my brother, has a set of these on his F4i and swears by them. I chose these because of the reviews here and from other sources. Multiple detailed reviews mentioned specific points that I was looking for. replacing same, better set traction than Corsas my speed triple came with. Listed on revzilla's site as one of the best of 2016. Revzilla, can you give more information as to where this tire falls in the Diablo line up? Between the Rosso II, Rosso III and Corsa? Pirelli's website isn't clear on this either. What are technical dfference 'tween the R2 and R3? Is the R3 softer like the Corsa? or a harder dual compound like the Rosso II? BEST ANSWER: The Diablo Rosso III is the direct successor of the Diablo Rosso II. The Diablo lineup now consists of the Rosso III, the Rosso Corsa and the Supercorsa SP. The Rosso III is the most street-orientated tyre with occasional. The Corsa is more track-orientated, while the Supercorsa SP is more of a race tire woith street homologation. Have a look at the video about the Pirelli Diablo lineup on this page and it will be clear. Only notice the R2 is replaced by the R3. The technical difference is that the the new R3 has a new compound wich consists of more silica, a new structure and a new profile. How does this compare to the Pilot Power 3 2CT? BEST ANSWER: The Michelin PP3 2CT and the Pireli DR3 are in the same leauge and therefore they are comparible. The Pirelli's are newer however and meet the latest technologies, it's the direct successor of the DR2. I expect the Pirelli's will perform better on the track than the PP3 as the Michelins tend to run hot and start smearing. My GSXR 750 had the Michelin PP 3 2CT's when I got the bike. I switched to the Rosso III tires 1 week ago and will never go back. I liked my bike before, but with these Pirelli's I now LOVE my bike. Best street tires I've ever used. In every category. When will 160 be available? I have a 2007 R1, Mostly street riding with a lot of twisties. I do ride in rain sometimes, Do I buy Michelin PR4 or Pirelli Diablo Rosso 3? BEST ANSWER: Pilot Roads are more of a sport-touring tire. 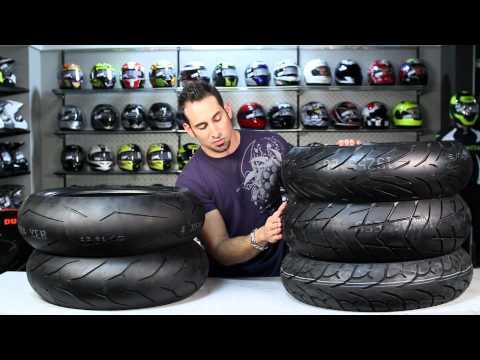 If you do a lot of twisties with a sporty pace, you will need a grippy sport tire who gives a lot of grip and therefore I recommend the DR3's. Pirelli claimed they have increased the wet performance compared to the DR2, so it should do well in the wet too. The PR4 will offer good water drainage due to their profile, but the compound of this tire a harder then the Pirelli DR3. They will last longer then the Pirelli's and you can ride very well in the twisties with them, but they won't offer the same dry grip as the pirelli's. You compare a sports tire with a sport-touring tire, so ask yourself the questin if you ride hard enough to need the grip of a sports tire. If you do ride hard I recommend the Rosso 3 but if you like to steer but don't ride the piss out of you're R1 PR4'S (or Pirelli Angel ST/GT's) will do fine and offer a higher mileage. Looking for a tyre for the twisties but I have to ride 150km to get to them . So what is best suted the rosso 3 or angle GT ? BEST ANSWER: The Rosso III will inspire more confidence. The grip on these tires is exceptional to say the least and they ride nice too. would they by any chance release more sizes? I need 240 for my diavel. how will the aspect ratio affect the ride of my bike? How do these tires compare against Rosso Corsa in terms of longevity and grip? I own a 2014 Triumph STR and had Corsa tires as stock. These are only tires I have experience on so can't comment how it fairs against any other tire. My rear tire has started to worn out at about 4500 miles which I expect is the normal life-period for the Corsa tires. I do mostly street riding and do not plan on taking to track anytime soon although I do push on twisties occasionally. My only complain about the corsa front is that if you are taking a slow turn and there are road patches with a bit of loose sand, I have to be chicken slow on my turn and keep the bike upright because no matter how much heat, the front will slip on that patch. BEST ANSWER: Buy them. You will not regret a thing. I was in the same boat last year with my bike. I bought a 14 Triumph Daytona 675r and it came with Supercorsa's on it. So I was used to the insane amount of grip they had. When I went through the rear I was afraid to try out too non aggressive of a tire, so I got a rosso corsa, and once I wore that out I needed a new front too. So early this season I bout these rosso iii's, and I love them. I also currently only street ride. Alot of highway commuting but I do like to get out and pound the twisties whenever I get the chance. And I feel just as confident on these as I did on the Supercorsa's. I'm sure on a track the Supercorsa's and even the rosso corsa's would feel alot better, but for the street, you'll be perfectly happy with the rosso iii's. As for longevity, I cannot say yet. I have about 2500 miles on them so far and they're starting to flat spot in the middle ever so slightly. I'm guessing I'll get around 5000 out of them. Maybe a little bit more. I'm definitely buying these again once I'm due for fresh rubbers though. I Have a friend who swears by corsa tires and he rode my zx10r and he said they feel the same they warm up fast and stick good if your looking for longevity, I have not worn mine out yet so can't say how much miles they will push but if they are the Rosso ll successor they will last more than the corsa. As for the front I don't go into patches of dirt simply because I don't want to risk it but have hit some dirty roads and they didn't flinch on me.. hope this helps.. The rubber provided by pirelli will feel great on ur johnson. Better than dunlop Q3 imo. Hi, I'm fighting with what tire to get. I have a 2016 BMW S1000RR with Supercorsa V2 on them. Never going to use the tires the way they should be driven. However I am a spirited rider. I've been looking at the S21R, Q3, M7RR and ofcource Rosso II and the III. I'm alittle concerned about tire life however like I said I'm a spirited rider. Lastly some of the tires only offer a 200/50/17 when BMW recommends 200/55/17. Will I notice or will there be a big difference? I like the Pirelli but wondering about others maybe. Appreciate all your videos and advise. BEST ANSWER: If you don't drive long distance on expressways then any of them will be good choice. I always use Pirelli and I am pretty happy with their development. Rosso III I think is better tire then Rosso II. Specially when wet. If BMW recommends 200/55/17, stick with it!